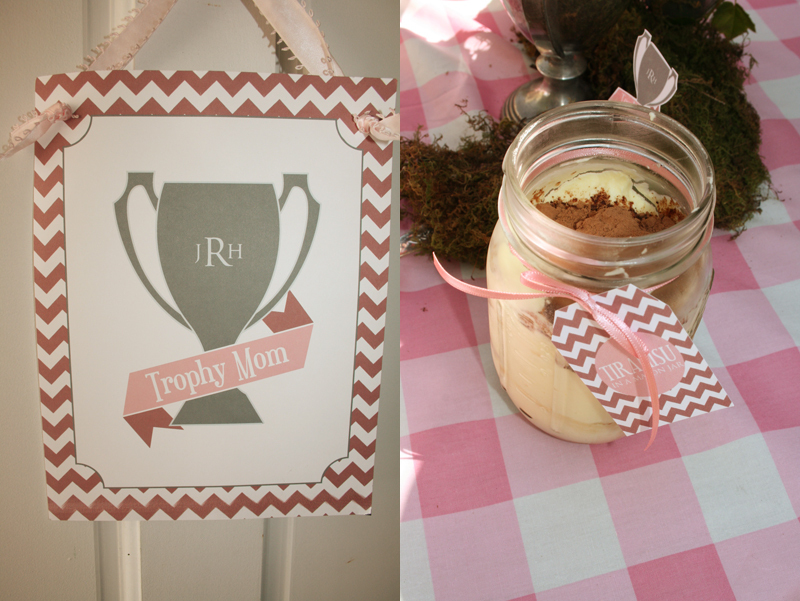 Yesterday, my sister, sis-in-law, and I hoodwinked my mom and threw her a little “Trophy Mom” Mother’s Day lunch. She thought she was coming over to babysit my boys. Not so! She was greeted by this sign on the door, so she knew something was fishy as soon as she walked in. 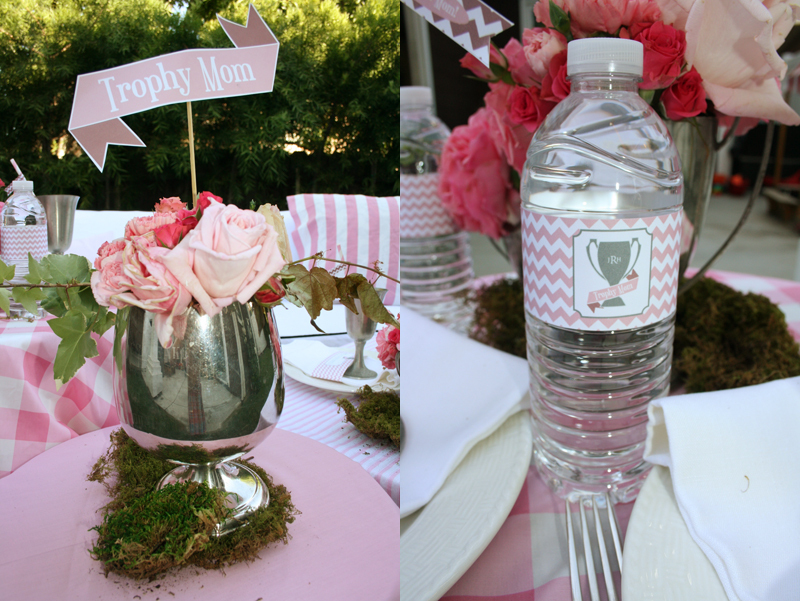 Our trophy mom walked into the backyard to find that we moved my couch outside, we set up three little tables, and placed vintage trophies and pink flowers everywhere. It’s really hard to surprise my mom, and actually really hard to put something like this together without wanting to tap into her brain for creative input, so we were thrilled when she was shocked! 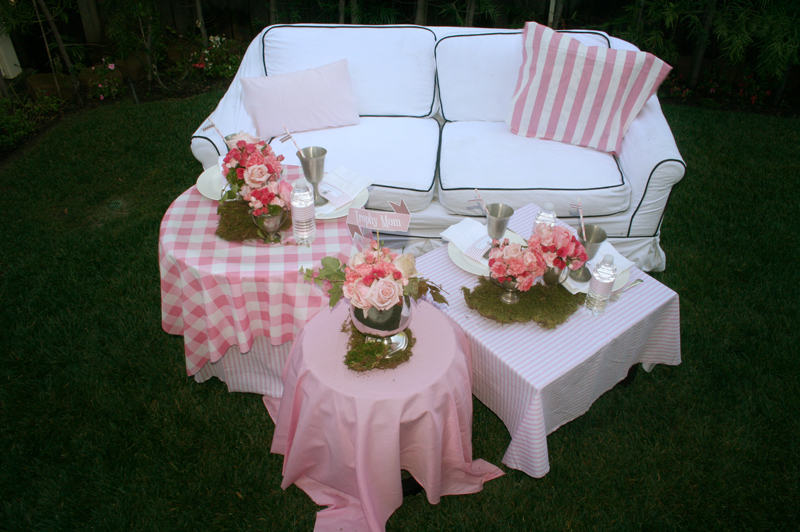 Initially I was just going to do this on our patio table but I thought a couch on grass seemed more fun. 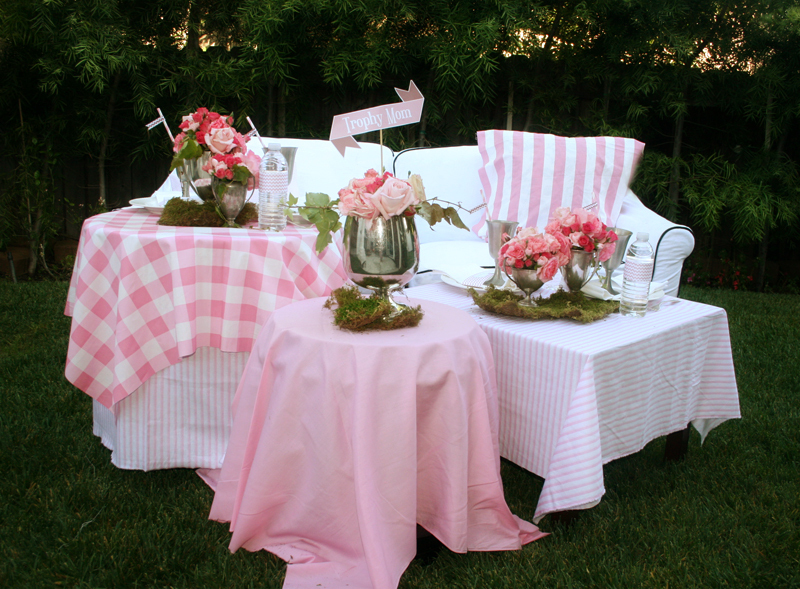 The little tables were just pulled from different spots around my house and covered in different pink fabrics. 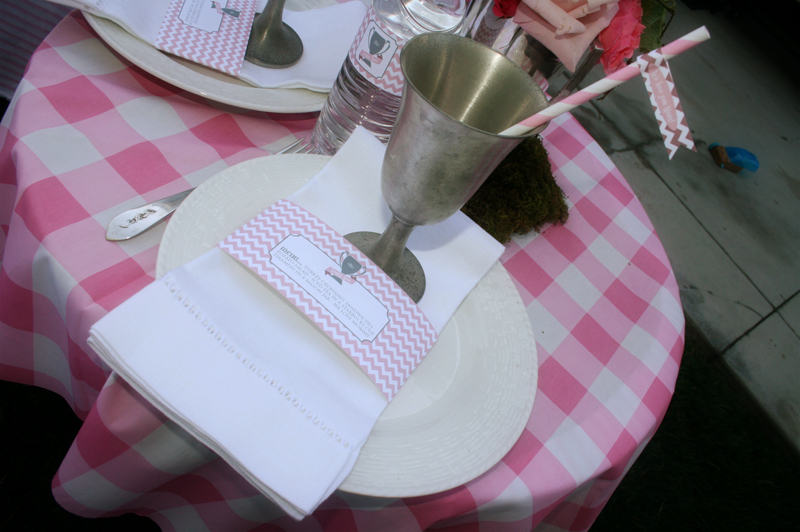 I never like things too matchy-matchy… as long as the color scheme stays intact, you can kind of get away with anything. My mom actually has a collection of vintage trophies that I literally stole from her house without her knowing. I added a couple I had to the mix and think they made for great vases. 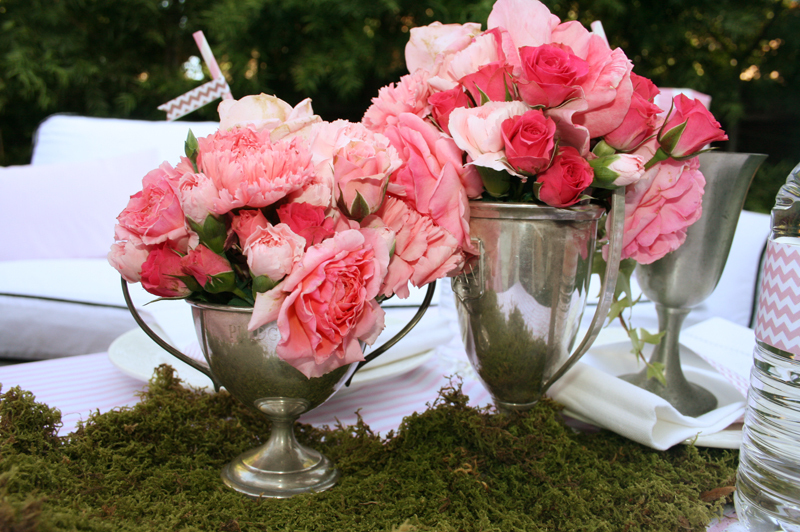 For flowers, I bought a few market bunches from Albertsons then went gardening throughout the neighborhood for the bigger roses. 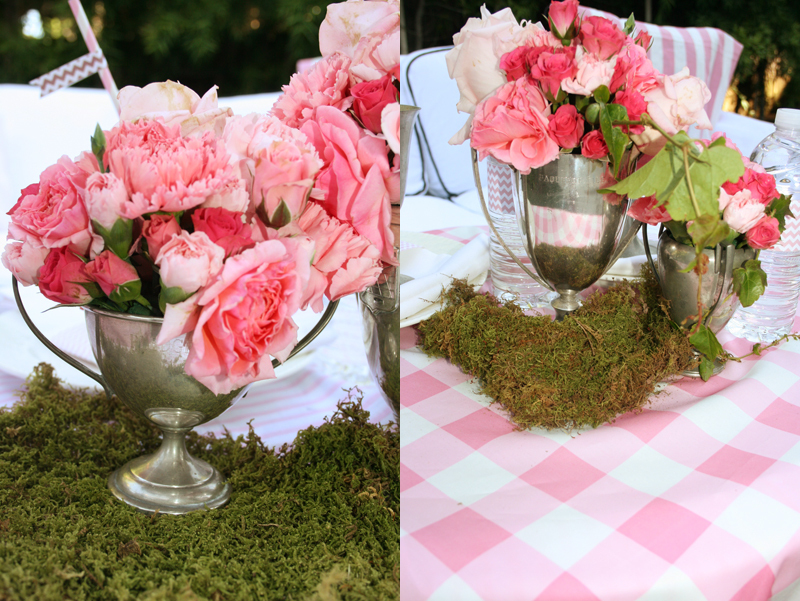 I’m no florist but I knew that if I kept everything pink, it would turn out okay. Place those puppies on some sheet moss and we’re all set! 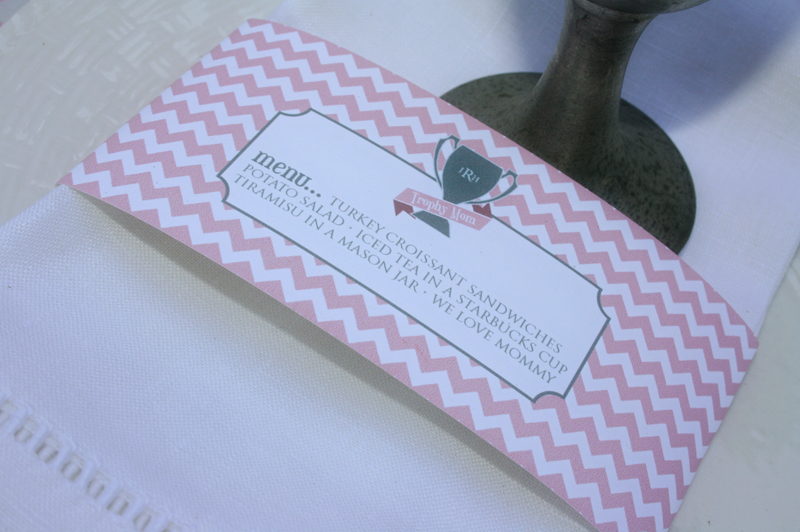 I saw this menu band idea somewhere in the blogosphere (can’t remember where!) and knew I had to copy it. If you read the menu, just know that my mom likes drinking iced tea out of plastic Starbucks cups. Funny thing is I forgot to go get one, but I also needed more copy so it worked I guess. I also don’t think I have ever called my mom “Mommy” but again, I needed to fill in the space! Doesn’t it seem cozy? I wish I could keep my couch out there all the time! 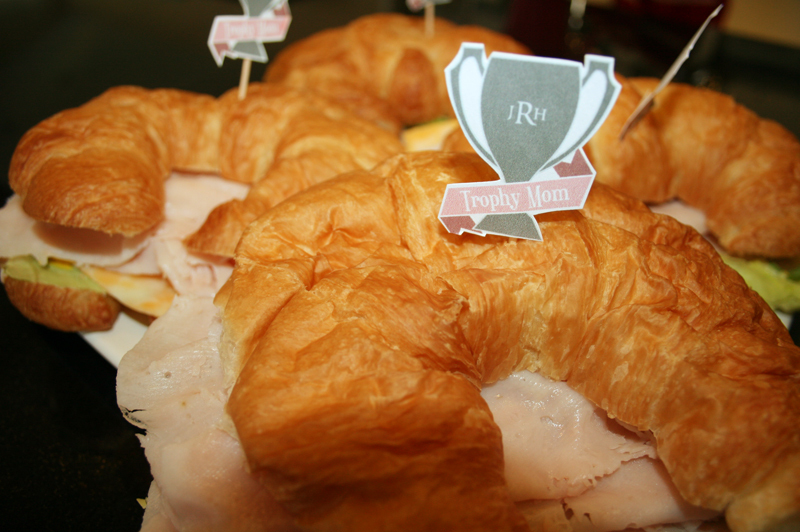 We served croissant sandwiches with trophy toothpick toppers. And finished up with tiramisu in a mason jar. It’s not as cute as the rainbow cake in a mason jar, but it’s my mom’s favorite dessert and was totally delicious so who really cares? 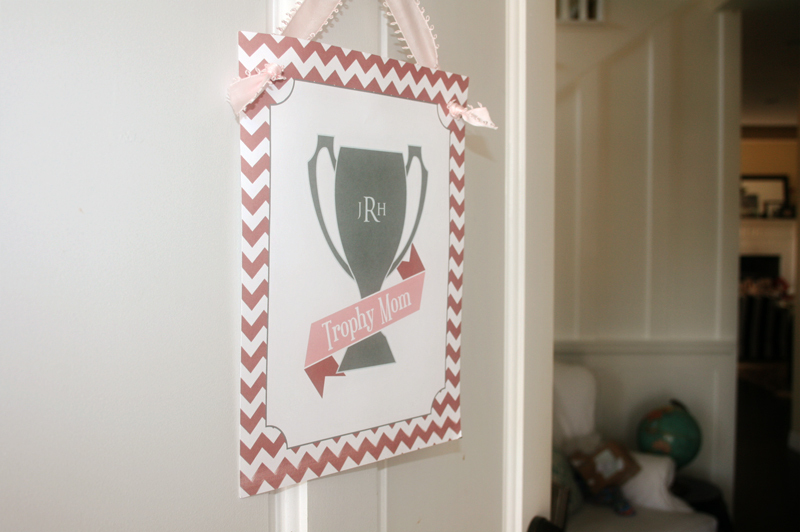 And a trophy mom banner on a stick. 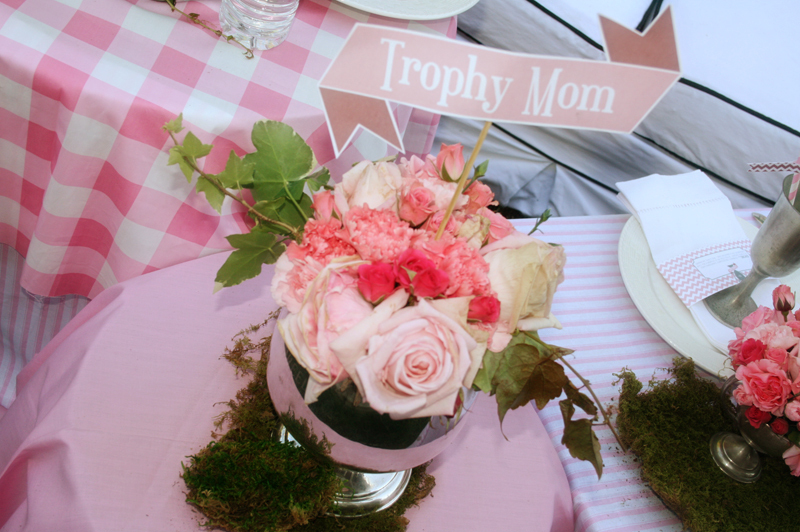 We ladies loved the day, but most importantly this mom of ours felt like the trophy that she is. (And the trophy grandma she is!) May all of you beautiful moms out there feel loved this weekend. This entry was posted in parties for grown ups and tagged happy mother's day, ladies party, mother's day, mother's day brunch, mother's day idea, mother's day lunch, mother's day tea, mother's day theme, pink and white party, tea party, trophy mom, trophy theme party, trophy wife by Annika. Bookmark the permalink. So it’s my first time commenting affter weeks of stalking (via circle of moms). You are my party hero, everything you (and your mom:) create is amazing! I love your attention to detail. 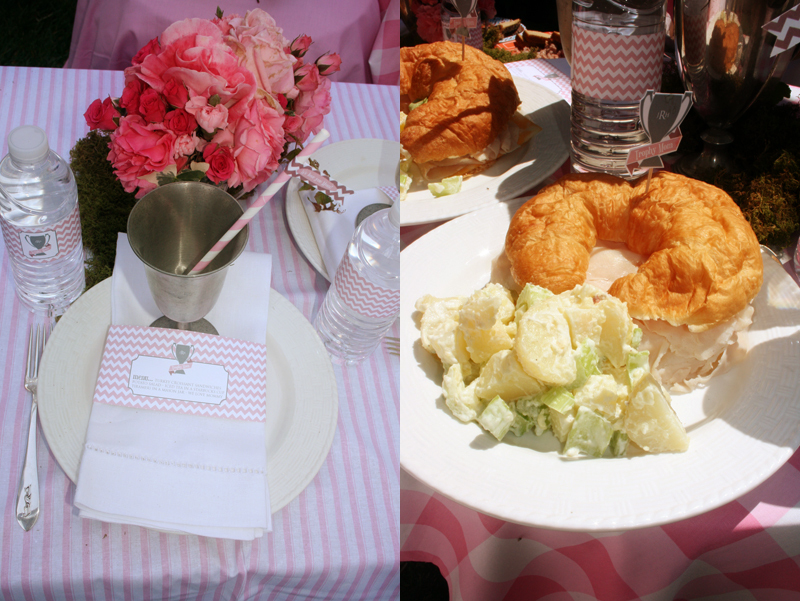 Anyway, I thought I’d comment today because I just happened to have a pink themed lunch for my mom yesterday too. 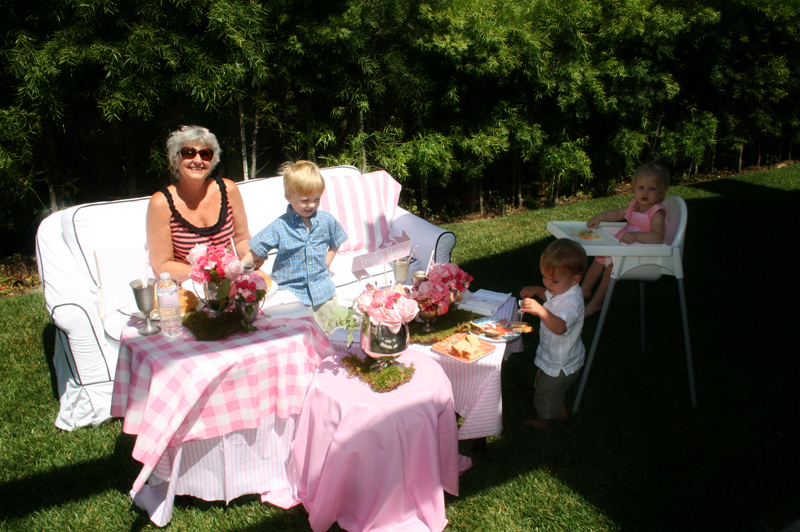 We had croissants too, must be the traditional mothers day carb. 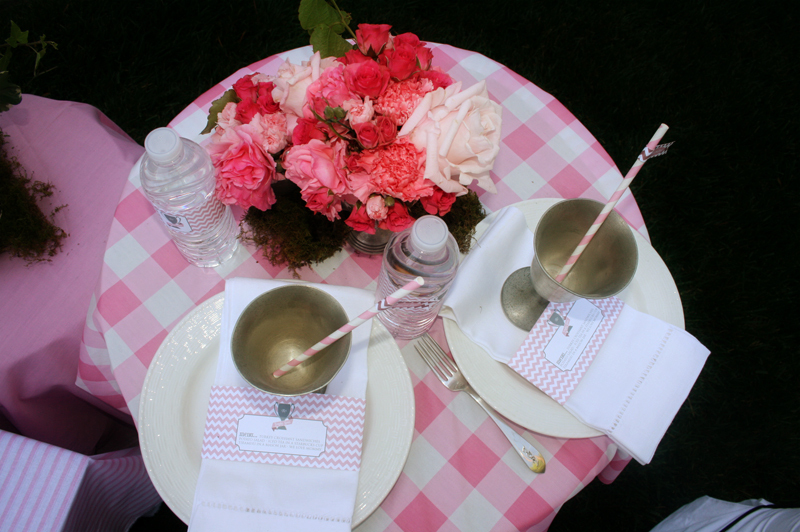 Okay…I have seen or been to most of the super unbelievable parties you Reenders women have, but THIS IS OVER THE TOP FABULOUS. And Jan is of course a deserving recipient. AND I AM SOOOO JEALOUS!!! Good Job Annika, Ellie, and Kelly you girls are GREAT! LOVE this and LOVE that Janster! I don’t think there are enough trophies in the world for how great she is! What fun! Um GORGEOUS! 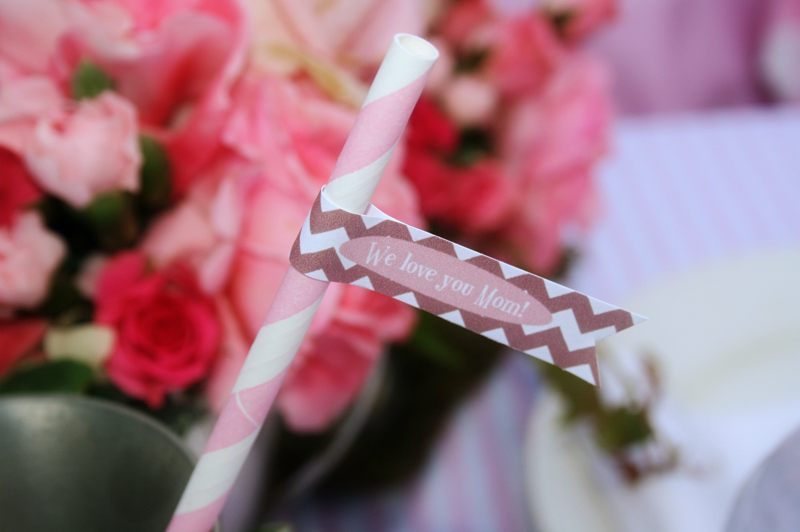 And I love the chevron! What a CUTE idea!! 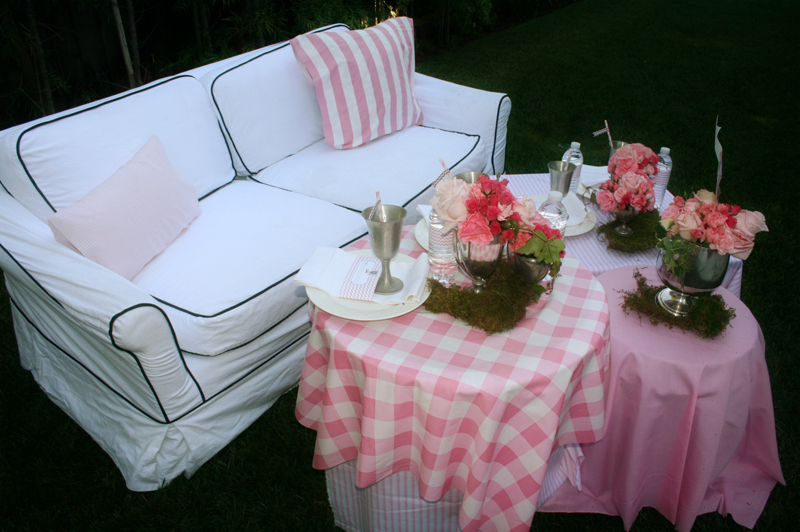 Love the couch pulled outside and I see a “trophy wife” bridal shower somewhere in the future!!!!! 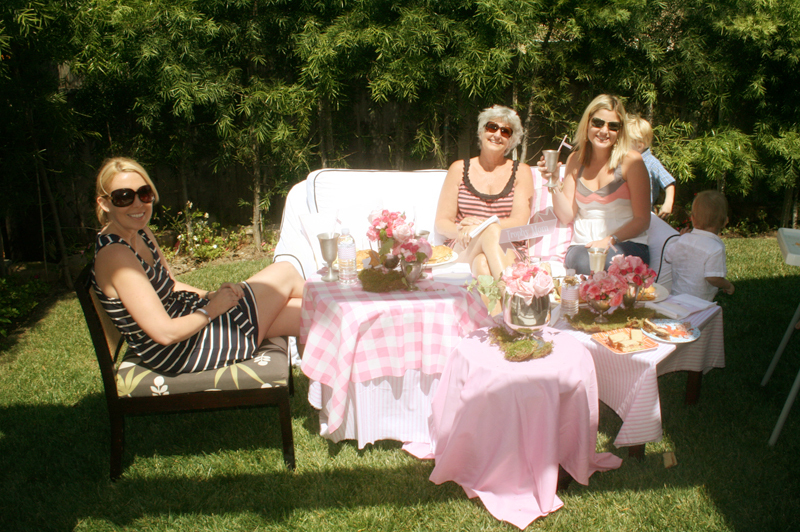 Happy Mother’s Day to the lovely moms who gave the party – Annika, Ellie and Kelly – and to the very special “Trophy Mom” Jan! I love this theme! 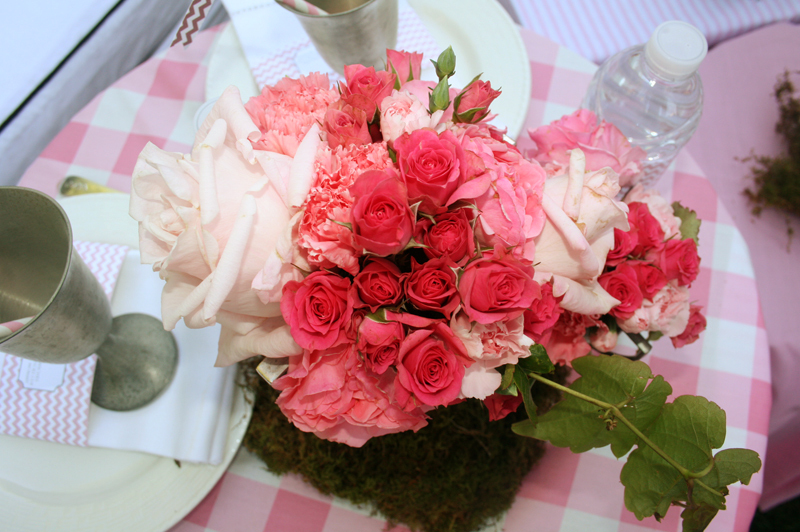 And the way you set it up is SO amazing! I bet your mom had the most fabulous day.